This training is limited to professionals working for DFPS. All children on every DFPS case should be screened for sexual abuse at some point during the investigation. Many DFPS workers are unsure as to how to do this properly without going too far and interfering with the detailed interview that will be needed by law enforcement if a disclosure is made. This presentation is a condensed version of the full course, "P.R.O.T.E.C.T. 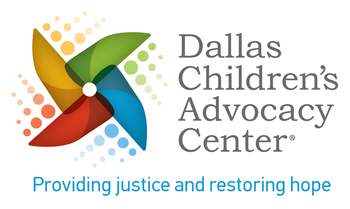 Interviewing and Screening in the Field: A Guide for Dallas County Department of Family and Protective Services" and will focus entirely on teaching DFPS workers how to properly screen children for sexual abuse when interviewing children in the field. Participants will learn how to properly screen using acceptable methods, what important questions need to be asked if a child does disclose, and when to stop, contact law enforcement and request a detailed forensic interview from the forensic interview team at DCAC. A Screening Packet created by DCAC will be given to each attendee with information including important phone numbers, an overview of the sexual abuse screening procedures and helpful flashcards to assist in conducting a truth/lie scenario with children. Breakfast will be served at 8:30 am. The training will begin promptly at 9:00 am.